HI! I know everyone is gearing up for the holiday season... as are we! Mama Elephant does not have a release scheduled for December so for November's release, we are bringing you a couple of love-themed sets for Valentine's Day 2015. Cats. Anyone likes cats? Cats romancing cats? 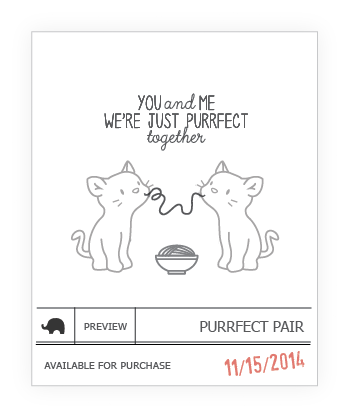 Angela designed this super sweet set, you'll loooove the pairing you can do with Purrfect Pair! And yes, they do come with coordinating Creative Cuts! 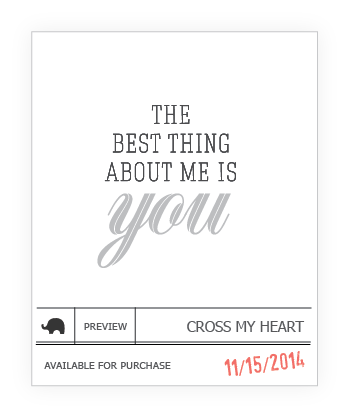 Cross My Heart is a versatile and unique sentiment set designed with my best type-face thinking cap on. I love the pairing we have with the large script and the smaller basic font. If you want classy, this is it! You might's seen this balloons appear in our banners last month and we did have quite a few requests for stamps in them! They come complete with the balloons ends/triangle/bits/whatever you want to call them. It's easy to draw in your own string line or we have plenty in our Party Kit set that you can use! 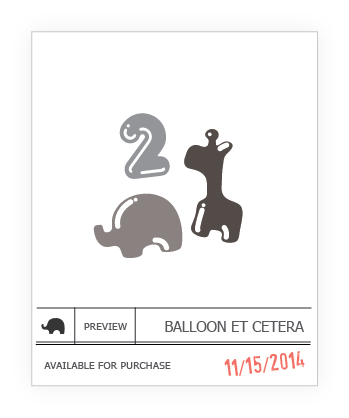 And we're equally excited to bring you this adorable number and critter set called Balloon Et Cetera! They're the same size as Balloon Letters above, so don't mind the scaling. 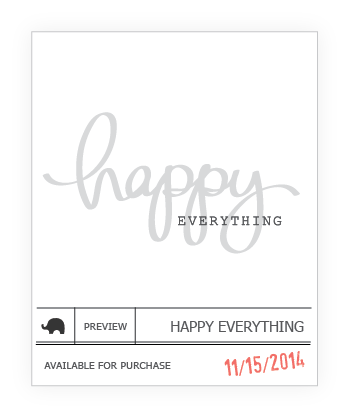 Finally, we are releasing last month's promo set Happy Everything! Thank you again for the excitement and celebrating with us all month! You'll also love the Happy Script Creative Cuts which is the exact same size as the stamp form. You can create really cool shadow effects when using the two together! Also be on the lookout for some awesome Creative Cuts we're releasing this month! Is there are cats, and they're cute, I have to have it! Love it! And the balloon letters and numbers are adorable as well! Oh my - too much cuteness!!! Of course that's a good thing!! Cats and love always great these are too cute. Love the balloon letters, so cute! This release looks so cute! I am totally loving the kitty set.. can't wait to see the full reveal! Love everything, but those cats are too cute!! 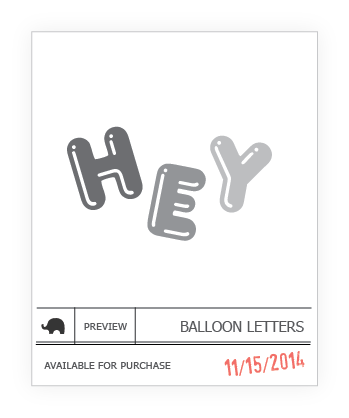 OMG, obsessing over the Balloon Letters and Balloon Et Cetera! Those are MUST HAVES for me! Cats sharing a bowl of noodles...Love it!!! Omg! Adding to my christmas shooping! Be still, my heart...I want EVERYTHING!!! so so so very excited! !